Concrete – Roklin Systems Inc. Concrete is the basis of countless construction projects including foundations for homes and buildings, parking structures, and sidewalks. 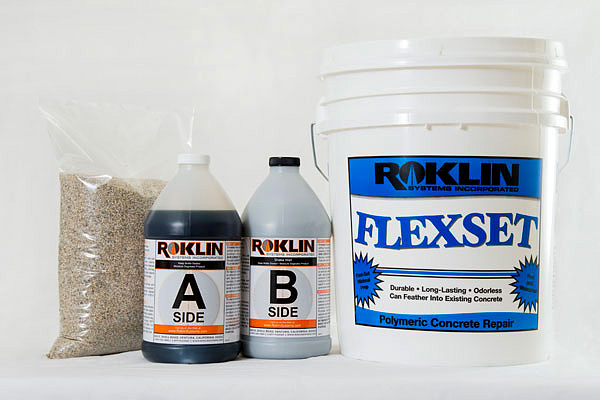 Concrete repair products developed by Roklin Systems are the most highly regarded concrete maintenance products, which is why they’re widely used by concrete and construction giants like Caltrans, the California state agency who manages highway, bridge, and rail transportation planning, construction, and maintenance. Concrete is the standard construction material for everything from homes, roads, highways, and runways. Although different from modern portland cement (the base of concrete), the Roman empire built its roads, buildings, and cities using an ancient form of concrete. With many of the structures still in existence today, concrete in its many forms has been proven to be the most durable and most versatile structural building material in existence. As durable as it is, to achieve the best performance from concrete, regular maintenance and repair is necessary. Like other base building materials, the durability of concrete is dependent on its ability to seal out and resist moisture and other environmental factors. Concrete is incredibly strong on its own, but it is also dependent on a foundation that supports the concrete surface uniformly. If the concrete is fractured, even to a small degree, then water can penetrate the concrete and compromise the integrity of the structure. Not only can water expand and enlarge existing cracks or fractures, it can also create new cracks which splinter, or even find its way to the foundation on which the concrete rests. If the foundation is compromised this can cause concave depressions or potholes in the concrete. In severe cases the entire concrete surface may need to be replaced. The best method for repairing concrete cracks depends on several factors including environment, weather, location, and the nature of the concrete crack. 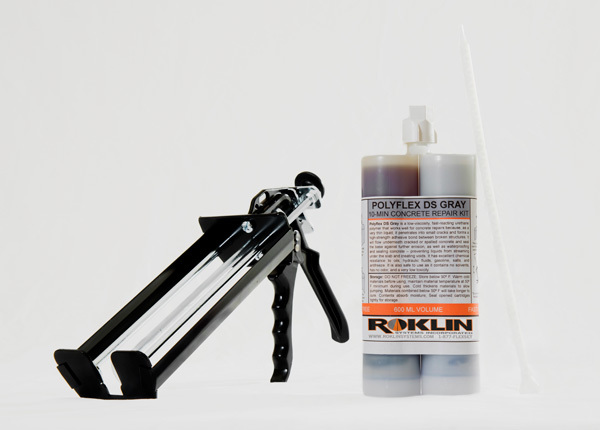 Although the basic strategy of sealing the cracks to keep out moisture remains the same, the best repair product for the job depends on the nature of the crack, the severity of the damage, as well as the age and condition of the concrete surface. After assessing the concrete, the best solution may be a filler, sealer, or coating.